Bon Jovi crash against the unforgiving wall of redundancy, where inspiration runs out, the water in the well goes stale, but drink it we must. Keep The Faith offers nothing new, just a band running minor variations of thoroughly familiar themes. Jon Bon Jovi's voice sounds strained, rarely delivering its distinctive soulfulness. The rest of the band members just settle into cozy bland pop metal territory, seeking the next radio hit while avoiding risks at all costs. 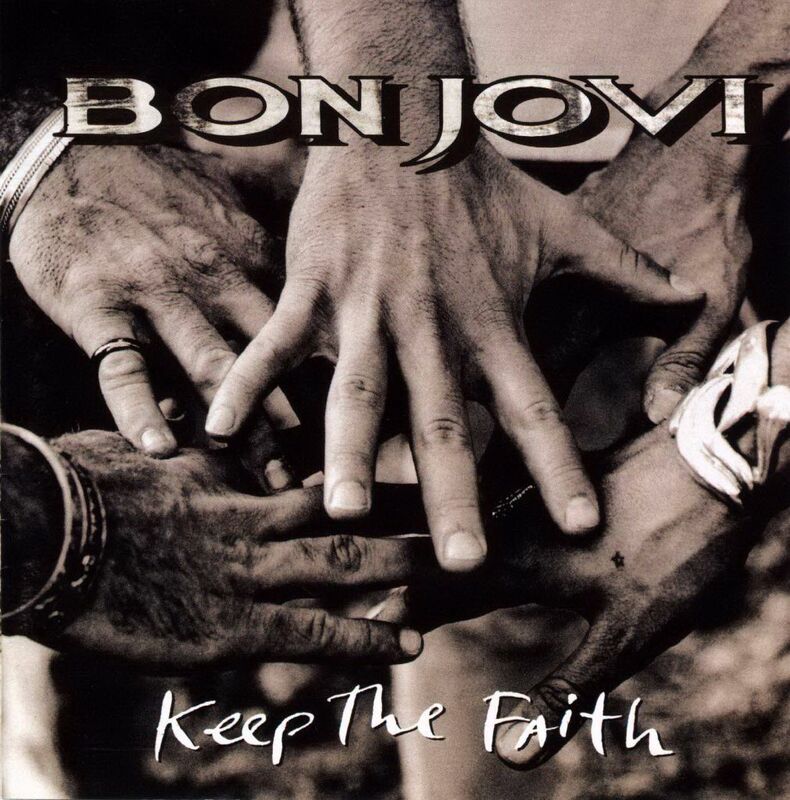 Two tracks at least leave a bit of a positive mark: title track Keep The Faith finds much needed energy and bounce, cruising into a rousing chorus with some well-aimed punches. And as power ballads go, Bed Of Roses delivers, Jon finding the genuine emotion in his vocals, and the melody comfortably settling into the satisfying middle ground between melancholy and hope. Dry County, at close to 10 minutes, is notable for being more of a novella about economic desperation than a song, but excessive length does not mean that it is any more musically inspired than most of the rest of the album. All the other songs just exist, doing enough to be inoffensive but never enough to ignite. Keep The Faith proves to be a request that is difficult to satisfy. Produced by Bob Rock. Engineered by Randy Staub. Mixed by Randy Staub and Bob Rock. Mastered by George Marino.